iMac - The vision is brighter than ever. Performance - Think fast. We did. Performance boosts across the board. Retina Display - Retina at its most brilliant. Connectivity - Thunderbolt 3. Make some powerful new connections. Design - A lot can happen in 5 millimetres. Apple Accessories - Rechargeable. Remarkable. 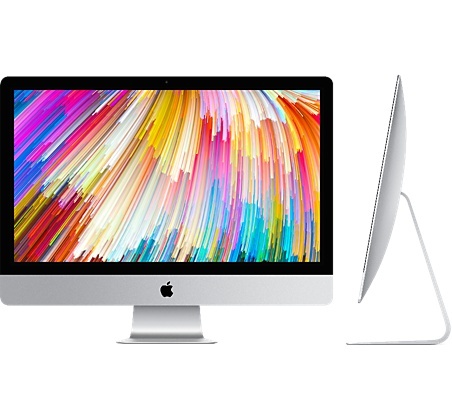 The AppleCare Protection Plan for iMac extends your coverage to up to three years of repair service and telephone technical support from your computers purchase date.